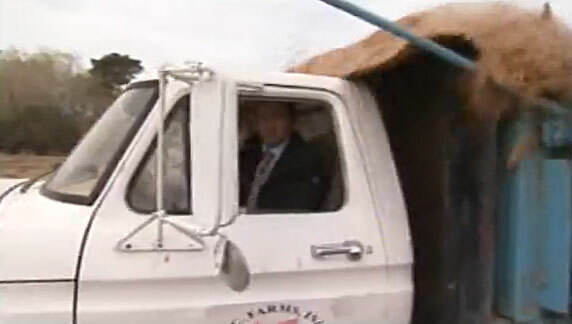 It’s rare that we get live footage of a truck spill in action. Even rarer when it’s this disgusting. Rarer still when it’s this funny. Justin Rowlatt, known as The Ethical Man, flew to Las Vegas to see how a pig farm feeds their pigs with leftovers from the city’s restaurants. 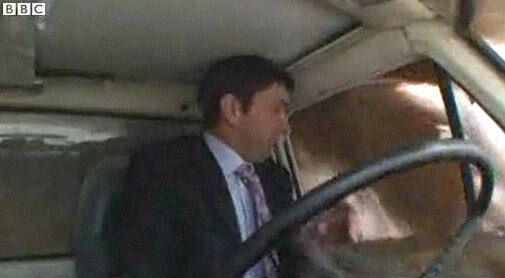 Unfortunately, it didn’t occur to him to be a bit more careful when he stopped his truck full of slop just as he reached the cameraman. Thar She Blows! (OK, that was too easy). 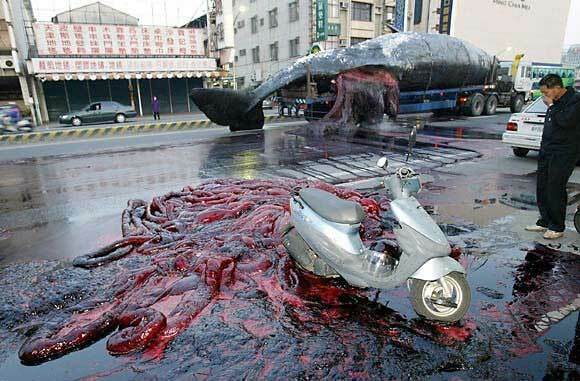 A 56-foot, 60-ton sperm whale died on a beach in Taiwan in January, 2004. 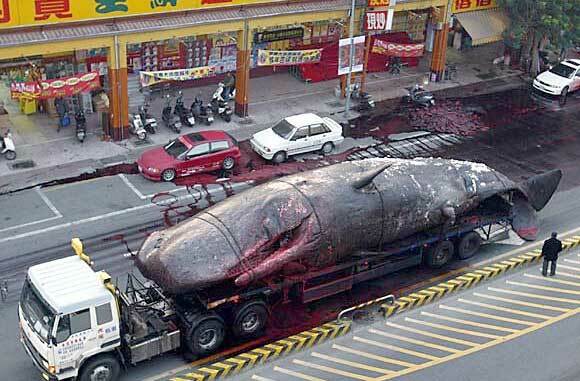 Researchers wanted the carcass to perform an autopsy and for research, so they loaded the whale onto a tractor-trailer and set out through the city of Tainan, heading for the Shi-Tsau Natural Preserve. It took 13 hours, three cranes and 50 workers to get the whale loaded on the truck. 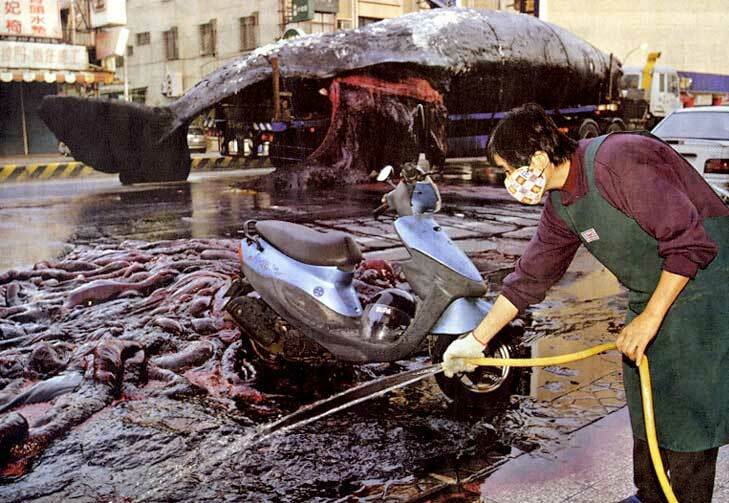 Unfortunately, on the way through the city, gasses built up to a critical level in the whale and it exploded, spewing whale guts in the street, on the cars and over pedestrians. According to witnesses, the smell was pretty bad. Residents and shop owners put on masks and tried to clean up the mess. Eventually the whale continued its journey to the research center.